The 6.6 Goliath recovery system is a beast. I was some what surprised at how well it performed. The pump out is as strong as any truckmount system or even stronger. The situp is very simple as it should be. Easy to use and the build quality seems to be very strong. The suction power is great. The system has no problem keeping up with a 4 gpm power washer on just 2 vacuums on. Cleaning out the waste tank is simple and made easier with the drain valve on the front of the unit. The extension cords are high quality which are sent with the vacuum. 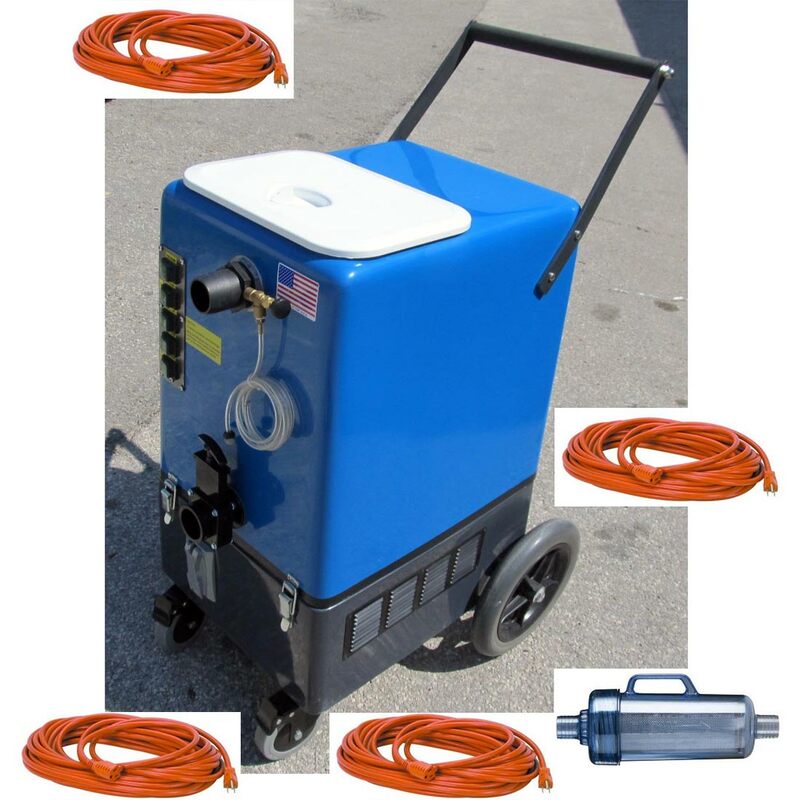 I will recommend the Goliath system to any new business or current power washers that need a water recovery system. Great Job Steambrite.